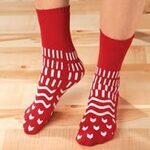 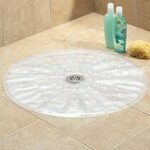 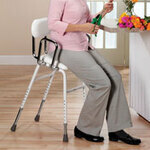 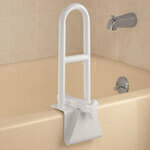 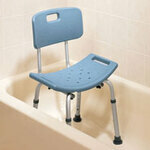 Shower or bathe in comfort while avoiding slips and falls. 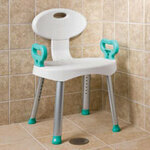 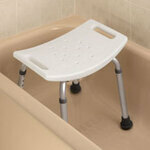 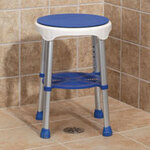 Bath bench features non-slip seat, rubber feet and convenient drainage holes. 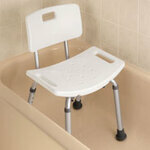 Bathtub bench measures 12" L x 19 1/2" W. Leg height adjusts from 14"–21". 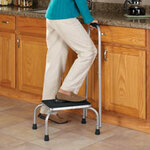 Supports up to 300 lbs. 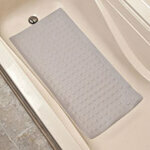 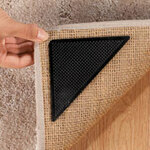 Non slip bath mat is safe and air-cushioned for comfort! 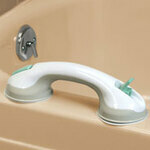 Hundreds of suction cups grip tub. 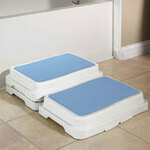 White, 16"W x 39 1/2"L vinyl mat is 1/3 longer than most mats. 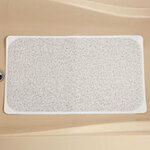 Machine wash for sanitary cleaning.